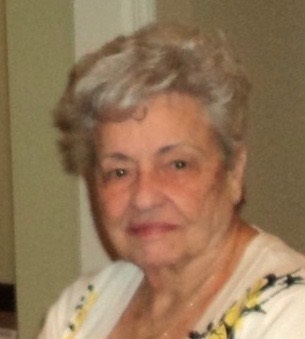 Obituary for Mary Teresa (Greaney) Calabrese | Bagnato Funeral Home, Inc.
On Thursday, July 26, of Scott Township. She was 89. Beloved wife to Edward (deceased); loving mother to Joseph (deceased), Ellen Amrhein (Carl), Edward Jr. (Karen), Stephen, Jill Fabic (Ronald); grandma to Ted (Jamie), Shannon (T.J.), Steven (Kyla), Eileen (Justin), Joshua (Laura), Michael, Peter, Anthony, David, Natalie (Kenneth), Jillian, Colleen, and Christopher; proud great-grandma to Olivia, Robbie, Alyssa, Hayden, Eleanor, Tristan, Ben, Brooklyn, Margaret, E.J., and William; loving sister to John (deceased), Eileen, Anna (deceased), Rita, and Daniel (deceased); and aunt to over forty nieces and nephews. Mary was born November 7th, 1928 in Boston, MA and grew up in the Jamaica Plain area of Boston. She was the daughter of John and Ellen (Franklin) Greaney, both Irish immigrates. She worked at Sears and Roebucks after graduating high school until she met, fell in love, and married Ed in 1956 and moved to Pittsburgh. Their romance lasted nearly sixty years until Ed’s passing in 2015. Mary had a fun filled life traveling with Ed and her family all over North America, Europe, Africa, Asia, and the Middle East. Mary was a lifelong avid reader, enjoyed volunteering at church and at the various clubs and organizations in which she was a member. Mary especially enjoyed her time volunteering at the Jubilee Soup Kitchen and she continued to support them throughout the years. Her generosity towards her family and friends was always present, and her front door was always open for drop-in visitors for coffee while she had her tea. She loved shopping and was always on the hunt to for a good deal. Friends received at the Bagnato Funeral Home, Jefferson St., Friday 2-8 PM Funeral mass in Our lady of Grace Church Saturday 10 AM Interment Queen of Heaven cemetery. Special thanks to Stacey Harris, Visiting Angels and Allegheny Health Network Hospice for their compassionate assistance in caring for her during her last few months. In lieu of flowers, please send donations to the Jubilee Soup Kitchen, 2005 Wyandotte Street, Pittsburgh, PA 15219 or jubileesoupkitchen.org.